Ere Perez Versatile Vanilla Highlighter is a beautiful creamy iridescent highlighter that softly illuminates the skin for a healthy natural shimmery glow for all skin tones. As natural as it is beautiful, the Vanilla Highlighter is made from olive oil, native Mexican Candelilla wax, cocoa butter, avocado oil and grape seed oil to give a gorgeously soft, shimmery and creamy formula that is really easy to apply with the fingertips. 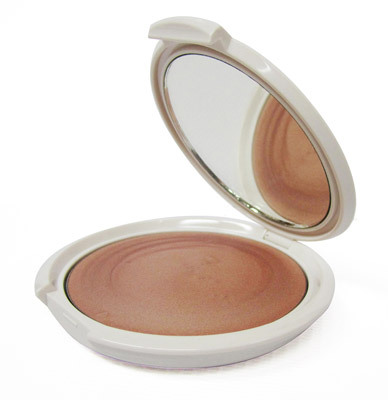 In a slimline compact (with mirror) for touch ups anytime, Ere Perez Versatile Vanilla Highlighter is great on the go and perfect for so many different uses: It's a wonderful finishing product to make you look instantly catwalk ready by accentuating high brows, pouty lips, cheekbones and chin and giving a gorgeous shimmer to the neck and décolleté. Great for brightening up and awakening tired eyes, Ere Perez Versatile Vanilla Highlighter can also be mixed with your favourite moisturiser as a light face illuminator and helps diminish the appearance of fine lines, so that skin looks instantly softer and younger. In one tone (Falling Star) to suit everyone, this is a product every girl who loves healthy makeup should have in her makeup bag or handbag this summer. For stockists or online purchase go to www.ereperez.com and check out all her other healthy makeup options.